LA Unified School District (LAUSD) Superintendent Austin Beutner, a corporate businessman with zero background in education, continues to withhold $1.8 Billion that should go towards investments in quality resources for LA students and schools. Furthermore, he plans on moving forward a privatization model that is undoubtedly designed to destroy public education in Los Angeles. We have seen this all over the country and even the world–from Detroit to Newark, from to Chicago to New Orleans, from Philly to Puerto Rico. It is no coincidence that the cities and districts most targeted for divestment in public education and investment in privatization are communities with majority Black and Brown students and families. 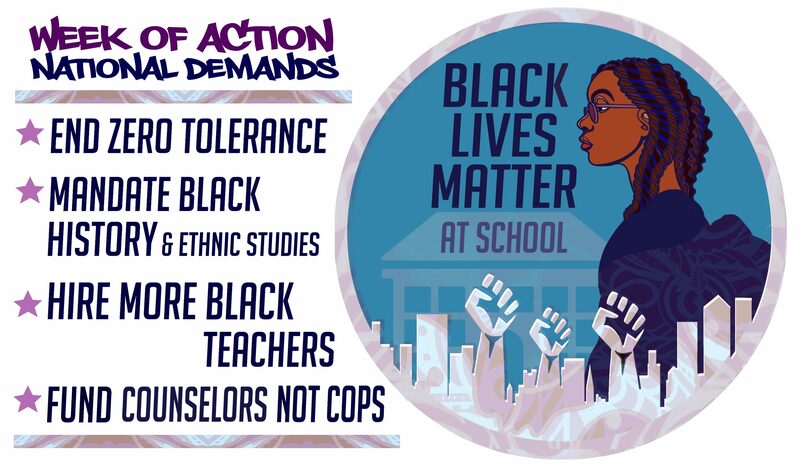 We urge all those involved in the Black Lives Matter at School movement to support the just demands of the UTLA community.